By now a staggering number of people recognize the name of Susan Fowler and have read some account of her experiences of sexism, sexual harassment and horrendous management at Uber. So what explains the silence of Uber’s investors? Uber has been here many times before, responding to public exposure of bad behavior by holding an all-hands meeting, apologizing and vowing to change, only to quickly return to aggressive business as usual. Investors in high growth, financially successful companies rarely, if ever, call out inexcusable behavior from founders or C-suite executives. Both of these patterns need to change. Uber’s outsize success in terms of growth of market share, revenues and valuation are impressive, but can never excuse a culture plagued by disrespect, exclusionary cliques, lack of diversity, and tolerance for bullying and harassment of every form. As early investors in Uber, starting in 2010, we have tried for years to work behind the scenes to exert a constructive influence on company culture. 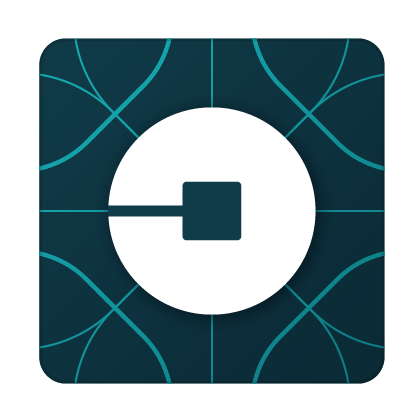 When Uber has come under public criticism, we have been available to make suggestions, and have been publicly supportive, in the hope that the leadership would take the necessary steps to make the changes needed to bring about real change. Freada gave a talk on hidden bias to the company in early 2015, and we have both been contacted by senior leaders at Uber (though notably not by Travis, the CEO) for advice on a variety of issues, mostly pertaining to diversity and inclusion, up to and including this past weekend. We are speaking up now because we are disappointed and frustrated; we feel we have hit a dead end in trying to influence the company quietly from the inside. If we believed it was too late for Uber to change, we would not be writing this, but as investors, it is now up to us to call out the inherent conflicts of interest in their current path. We are disappointed to see that Uber has selected a team of insiders to investigate its destructive culture and make recommendations for change. To us, this decision is yet another example of Uber’s continued unwillingness to be open, transparent, and direct. Eric Holder has been working on behalf of Uber since at least last June, when he and his firm were hired to advocate on behalf of Uber to lawmakers concerning using fingerprints as part of background checks on drivers. Arianna Huffington has held a board seat for about a year and is deeply invested in the company weathering the PR crisis. As the company’s Chief Human Resources officer, Liane Hornsey reports to Travis’ executive team. This group is not set up to come up with an accurate analysis of the culture and a tough set of recommendations. This is not a criticism of any of these individuals. We’ve met both Eric and Arianna on different occasions, and find them impressive. We have great respect for Eric’s public service and leadership on issues like Ferguson. But none of that takes away the inherent conflicts that impede the necessary independence to make a deep and accurate assessment, which is where change must begin. There are many talented and dedicated people at Uber who genuinely want the company to do better; they need to be heard and respected. We are concerned that the company will try to manage its way past this crisis and then go back to business as usual. Uber has had countless opportunities to do the right thing — from signing on to the Kapor Capital Founders’ Commitment to working with Project Include to building out their diversity & inclusion team years ago to developing a state of the art people ops function. We remain at the ready to continue to help if the company is indeed serious about a fundamental analysis and potential overhaul of every aspect of its policies, practices, complaint systems, training, upward communication systems, sentiment analysis, and commitment from the top. Both of us have helped countless tech companies over the years as investors and advisors. There’s a wealth of knowledge and experience to be tapped. We are speaking out publicly, because we believe Uber’s investors and board will rightly be judged by their action or inaction. We hope our actions will help hold Uber leadership accountable, since it seems all other mechanisms have failed. As investors, we certainly want to see Uber succeed, but success must be measured in more than just financial returns. Uber’s response to this particular crisis will be defining for the company, so the stakes are high to get it right. Current, past and prospective employees will be watching, as will drivers and entrepreneurs and countless others, including these investors.